Membership is open to all businesses operating in Ireland supplying educational content for the Primary and Post-Primary Curricula. Applications for new membership should be made to the Chair and are subject to a vote by the Membership. Members adhere to a strict Code of Practice, breaches of which, subject to an executive hearing, can result in expulsion, notification to all stakeholders and substantial fines. Termination of membership is subject to a vote by the Membership at a regular meeting and requires a Proposer and Seconder. (Pro-rata subscription will be refunded). Members can also vote to reprimand a member, which would require the sanctioned Member to reapply for membership the following year. An unpaid Member will be deemed to have resigned from the association if membership is more than 4 months in arrears. Martina Harford, EDCO, 12 month term. Elected by Members. Ruth Gill, Gill Education, 12-month term. Elected by Members. Preceded by 12- month term as Treasurer. Brian Gilsenan, CJ Fallon, 12-month term. Elected by Members. The three officers constitute the Board of Management of the IEPA. A quorum of two officers is required for decisions to be implemented. Educate.ie is Irelands' newest educational publishing company, established in 2010 with offices in Sandyford, Dublin and Castleisland, Co Kerry. With a range of primary and post- primary solutions that is growing rapidly, we aim to help students learn and achieve success at a price that is affordable. From textbooks to e-learning materials, our products have been conceived and designed by experienced educators who understand the importance of saving teachers' time in the classroom, while increasing the students' learning and understanding. We are particularly proud of our contributors for the expertise and commitment they bring to their subjects. To assist them in translating their ideas into workable and high-quality resources we have built a commissioning and editorial team of experienced professionals who take great pride in building our new company. As a fledgling company entering the market on the cusp of changes in how digital resources are being used for learning, we welcome the challenges and opportunities this brings to create exciting and relevant materials for the Irish classrooms of today and the future. Educate.ie employs the resources of one of Irelands most well-established printers, Walsh Colour Print, which means that all our print books are originated and produced in Ireland. That's our further commitment to our young peoples future. The Educational Company of Ireland (Edco) is Ireland’s Number 1 educational publisher of primary and post-primary materials; in 2010, the company celebrated 100 years as the country’s most successful publisher. In recent years, Edco’s digital technology has won several sought-after industry awards, including the Digital Media Award for best in e-learning, along with the ICT Excellence Award, in the same category. Edco prides itself on being the first publisher to have made the full post-primary digital curriculum available across a wide range of platforms, including Windows, Apple and Android devices and the soon-to-be-launched Windows 8, using native applications which allow pupils to work both online and offline. Edco’s unique eBook technology was developed over a five-year period and is Ireland’s only cloud-based, fully HTML5 eBook platform, offering extensive cross-platform compatibility and secure unlimited back-ups of student content. It eliminates the need for a heavy school bag, connects students to the wider digital world, and, most importantly, ensures that learning is greatly enhanced through interactivity. Edco works closely with schools to review their eBook strategies and fine-tune plans for embracing e-learning and rolling out one-to-one learning. 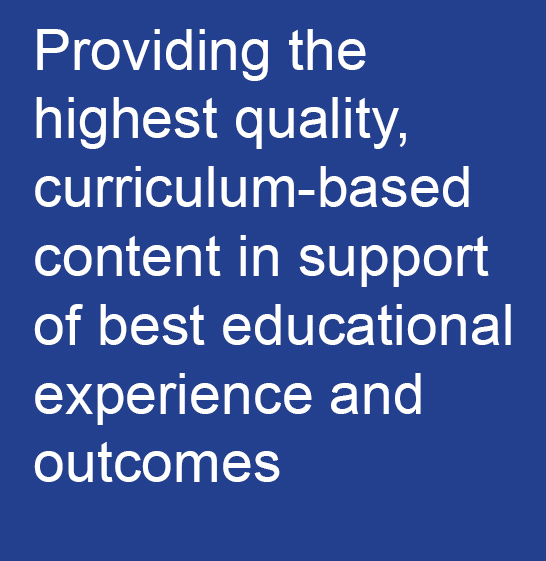 Edco is committed to publishing organically produced content – materials written by Irish teachers for Irish teachers – to the highest possible standard, in order that pupils of all abilities can reach their full potential. Edco believes in investing in our people, firstly by recruiting the best and then by training and motivating them to grow with the company, and meet the needs of our customers. CJ Fallon, one of Ireland’s longest established and most respected educational publishers, has been leading the way in Primary and Post Primary publishing since 1927. We are committed to providing Irish teachers with the highest quality teaching resources in both print and digital formats. We work hard to provide Irish students with the best results-driven learning tools, using international best practice educational standards. We work with only the best teachers in the country who contribute as authors, advisors and reviewers. We have recently added the Celtic Press to our portfolio, bringing more quality titles to our range. MyCJFallon,a personalised web space for teachers, provides access to a wealth of free digital resources. It enables teachers tosearch, filter and browse over 10,000 digital resources including eBooks, posters, interactive games, animations, video and audio clips and other digital resources. It allows teachers to add 'favourites' to their own personal user profile, facilitating ease of use in class. Quality:We believe in taking time over our resources, making sure that they are the best they can possibly be. We’ve created some of the longest running series in education in Ireland, with increasing emphasis placed on the provision of quality digital resources. Community:We believe in working closely with leading teachers to develop resources that best suit their needs and those of their pupils. International Best Practice: At CJ Fallon we track developments in global educational trends to ensure that our resources provide the most up to date and dynamic experience for today’s students and teachers. Please visit www.cjfallon.ieto find out more, leave a comment, make a suggestion or ask a question. Whether you’re a teacher, parent or pupil we value your opinion. Folens’ customer-centric approach has seen us deliver a number of ‘firsts’, including the provision of online eBooks and supportive interactive resources for teachers on folensonline.ie. Folens was the first Irish company to make student eBooks available on all three main platforms – Windows, Android and iOS. Building on our long experience in Irish classrooms, Folens is also proud to be the No.1 Supplier of Literacy and Numeracy Resources in Ireland. We exclusively supply the programmes of choice for Literacy Lift Off / Reading Recovery in Ireland including PM, Collins Big Cat, Engage, Flying Start, Red Rocketand more – see www.Folens.ie/Literacy Our Folens Christmas Annuals have been a childhood favourite for over 40 years. Folens is committed to Ireland and to Irish education. Our ‘Giving Programme’ includes the ‘Folens Overseas Teachers Fund’ and uniquely we have created our own fund (www.LeAFInvestments.net) to invest in start-up educational technology businesses to ensure the future development of technology for Irish schoolchildren. With a full-time team of over 75 people, together with our extended family of hundreds of authors, reviewers and print and digital partners, we offer the teacher, student and parent a comprehensive solution that provides quality and value in school and at home. Forum Publications is a Cork-based educational publishing company. Founded in 2003, it has earned a reputation for producing textbooks that are meticulously-written and beautifully-designed to meet the needs of the modern student. The name of Gill has been synonymous with quality educational content, tailored for the Irish market, for almost 160 years. Gill have always believed that education matters. We understand the difference that it can make to lives, the opportunities and outcomes it affords and its ability to enrich. We take pride in working with the best educators in the country to produce excellent products that answer the needs of great teachers and students. An Gúm’s professional mission is to produce publications and resources in support of Irish-medium education and of the use of Irish in general. An Gúm was set up in 1926. It is the biggest publisher of Irish books in the country. It was part of the Department of Education until the cross-border bodies were set up in 1999 when its functions transferred to Foras na Gaeilge. An Gúm has published around 2,500 publications and 350 pieces of music since its establishment. These days An Gúm is mostly engaged in lexicography, the publication of textbooks and resources for schools as well as general reading material for children. Foras na Gaeilge has a statutory function in relation to these areas. An Gúm has just completed publishing the first phase of the ambitious Séideán Sí project. This is a joint venture between Foras na Gaeilge and the Department of Education and Science which produces high-standard Irish language teaching resources for Gaeltacht schools and for schools teaching through the medium of Irish. It is currently about to embark on the second phase of this project with its strategic partners COGG and CCEA and produce a range of online and digital resources for the project. Is é sprioc ghairmiúil an Ghúim foilseacháin agus áiseanna a chur ar fáil mar thacaíocht leis an oideachas trí mheán na Gaeilge agus le húsáid na Gaeilge i gcoitinne. Bunaíodh An Gúm i 1926. Is é an foilsitheoir leabhar Gaeilge is mó sa tír é. Ba chuid den Roinn Oideachais é go dtí gur bunaíodh na forais thrasteorann i mí na Nollag 1999 agus is cuid d'Fhoras na Gaeilge ó shin é. Tá thart ar 2,500 foilseachán agus 350 píosa ceoil foilsithe ag an nGúm ó bunaíodh é.
Sa lá atá inniu ann is ag plé leis an bhfoclóireacht, le foilsiú téacsleabhar agus áiseanna scoile agus le hábhar léitheoireachta don aos óg is mó a bhíonn An Gúm. Tá cúram reachtúil ar leith ar Fhoras na Gaeilge maidir leis na nithe sin. Tá deireadh díreach curtha ag an nGúm leis an gcéad chéim den tionscadal ceannródaíoch bunscoile, Séideán Sí. Comhthionscadal é seo idir Foras na Gaeilge agus an Roinn Oideachais agus Eolaíochta maidir le foilsiú áiseanna teagaisc Ghaeilge ar ardchaighdeán do na scoileanna Gaeltachta agus do na Gaelscoileanna. I gcomhar lena gcomhpháirtithe straitéiseacha tá an Gúm ar tí tosú leis an gcéad chéim eile den tionscadal, is é sin réimse acmhainní digiteacha agus ábhar ar líne a chur ar fáil. This Irish-owned publishing company was established in 1979 and has developed a successful and prominent role in Irish educational and general publishing. Success has been built on a policy of developing modern educational books, designed to make the role of teaching various subjects more interesting, colourful and interactive. We have a policy of publishing books of Irish interest with special emphasis on non-fiction such as Sport, GAA, Politics, Crime, History, Biography and Humour. Prim-Ed Publishing was established in 1994 to bring a range of teacher resources to the Irish market. Our slogan and corporate statement from the outset has been “by teachers for teachers”. We pride ourselves on being one of the largest providers of photocopiable teacher resources in Ireland. In addition to the photocopiable resources, we also provide a varied range of materials for all curriculum areas. The range includes the very popular and widely used workbook series 'New wave mental maths' and the brand new resource for developing literacy skills 'New wave English in practice', along with a variety of other individual pupil product. Our product offering is constantly developing and now incorporates a product line of boxed resources. 'The Comprehension Box' and 'BrainSnack®' are currently some of the most sought after products in the Irish education market. With our ongoing commitment to product innovation, 'The Literacy Box' and 'BrainSnack® 100' are the newest resources to have been added to our boxed product range. Prim-Ed Publishing have also moved with the times in digital development and now all new copymasters are available as eBooks. We are proud of our Irish roots and endeavour to give as much business to Irish companies as possible in the creation, production and printing of our products. Prim-Ed Publishing has always been a loyal supporter of the organisations within our industry. We have been a major sponsor of the Irish National Teachers Organisation for many years and are currently the main sponsor of the Principals Forum within that organisation. We will continue with our policy off providing the best possible service and products to our customers. As a team, we are all working harder than ever in all areas of our business. This willingness to work hard and strie for new opportunities defines our business. Veritas Communications is an Irish-owned company. Veritas Publications, a division of Veritas Communications, was established in 1969. We publish religious education textbooks for primary and post-primary students, as well as a variety of resources for teachers. Our focus is the publication of quality text books and resources, through engaging in on-going dialogue with practitioners and employing religious education specialists as authors. In recent years we have focused on developing on-line resources for both teachers and students, beginning at senior cycle level. At Veritas our policy is to print all our materials in Ireland.